It's no secret that I am obsessed with Fall and anything that has to do with it. I could look at coats and buy them in all lengths and patterns all day every day. 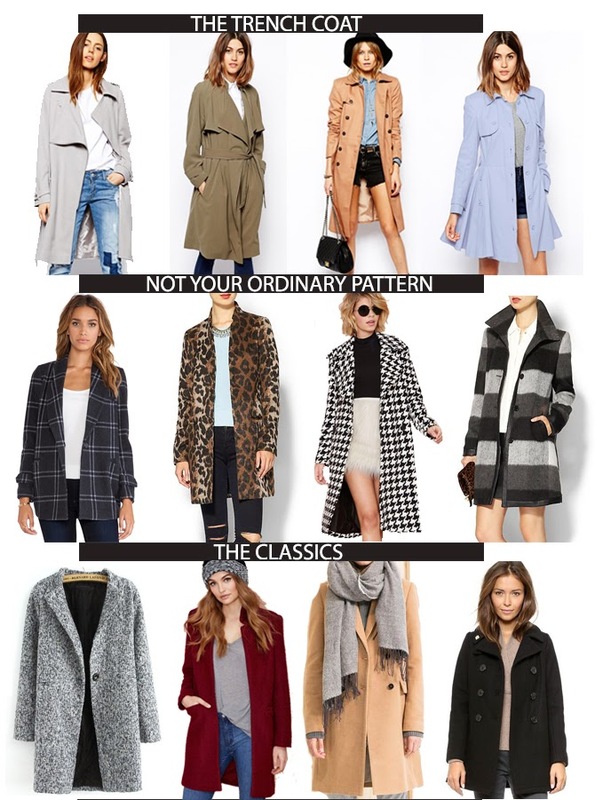 I am always on the hunt for an amazing coat to last me through any season so I wanted to share my favorites and some of the big trends with you. Can you tell I can't get enough? The trench coat has evolved! Your classic taupe trench coat will always be a staple but it's here to stay in longer lengths and in fun colors. Anything with with a pattern is an absolute love for me from the start. With cooler weather and muted colors, a fun print in a plaid or stripes can make any outfit pop! Then of course, you have your classics. Burgundy is a classic color for Fall as well as camel. The double breasted black pea coat and in a tweed texture is a definite staple as well.